A comprehensive, well presented course on human anatomy that focuses on demystifying the structural complexity of human body in an unprecedented way. Friedrich Tiedemann,a famous German anatomist and physiologist once said, “Doctors without anatomy are like moles. They work in the dark and the work of their hands are mounds.” Anatomy has always been a cornerstone in the field of medicine. 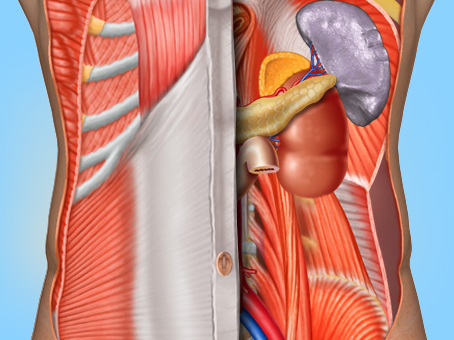 Most of the surgical errors have been attributed to poor anatomical knowledge. Hence, a clinician must have a firm grounding in this subject. classification. The structural interrelationships of various organs and organ systems in the body are taught in detail under the gross and microscopic anatomy of the body systems namely, integumentary, skeletal, muscular, nervous, circulatory, respiratory, digestive, urinary, and reproductive. These courses are open to everybody. Whoever is inquisitive are welcome to take up courses of their choice. In each course page, it is mentioned who it is specifically developed for. What is the course fees? Course fees differs from course to course. Please visit the course page for more details. Fees once paid will not be refunded or transferred in favor of another course or another subscriber. Payment can be made by way of cheque, debit/credit card, net banking etc. How do I subscribe for these courses? Go to the course page on www.SmarTeach.com and subscribe for the course by paying the required course fee. Once the payment is received, you will be sent a user name and password through which you can start accessing the course material. What does the course material contain? The course material contains a series of video lectures with state of the art visual depictions for easy understanding and remembering. You will also be given access to a series of multiple choice questions on the same topic for your self-assessment and a more thorough understanding of the topic. Is there an exam or an assessment? There are no exams. These courses are for self-study. Our MCQs however help in self assessing yourself. For how long can I access the course material? You can complete the course material over a period of 6 months. However you can view the video lectures for twice the duration of the lectures. You can renew your access with a nominal extra charge. Does my Pop-Up Blocker affect SmarTeach Courses? Yes. SmarTeach Courses will only work if you switch off the Pop-Up Blocking software on your Browser. To do so, open Internet Explorer, go to the Tools option on the menu bar, click on Internet Options, choose the Privacy tab, and make sure that the Pop-Up Blocker feature is unchecked. If you have Google or Yahoo Tool bar, please disable Pop-Up blocking for this site. What hardware and software do I need to Access Short Courses? You need any PC that runs Microsoft Windows at a screen resolution of at least 1024 x 768. You require Silverlight Ver 1.0 to be installed to view the lectures. You also require at least 256 Kbps of bandwidth for having a good uninterrupted experience.